You connect to your golf club through the golf grip. It’s is incredibly important that you have the right golf grip and not slip or feel uncomfortable while you are swinging your club. The grip may seem like a small component, but it has an important part to play. Be sure you choose the right grip, and we can help you to do just that. Read on to find out how to shop for the best golf club grips. When you have the right grip on your golf club, it definitely makes a difference. You can feel comfortable holding the club and swing it knowing that it won’t slip from your hand or chafe and burn after repeated uses. The right kind of grip is so good that you don’t even notice it, according to Golficity.com. If the grip becomes obvious and uncomfortable for you, that is when it is a problem. You don’t necessarily need anything fancy or expensive, but it does need to be practical and durable. A high quality golf grip that is comfortable in your hands is something that helps you to swing with confidence. You can count on the grip being there for you and working like it is supposed to. The right golf grip improves your swing, making it more stable and more accurate while preventing slippage and discomfort. 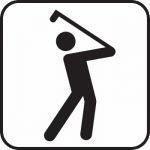 You can swing your golf club for longer and not feel pain or achiness in your hands. The golf grip can affect more than just your hands. A bad grip can hurt your wrists and arms and cause discomfort throughout your upper body because of the way it interacts with your hand. That is going to throw off your entire swing and make it tough to play at your best. That’s why it is so important to take the time to choose the best golf club grips. 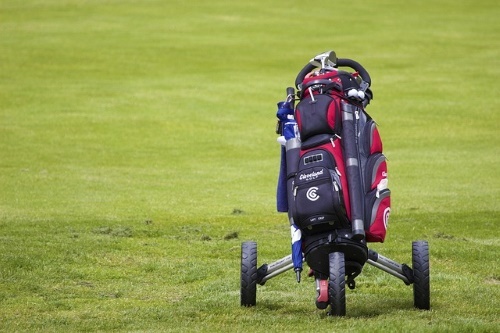 We have given you some guidelines you can use for buying the best golf club grips. Now, we want to show you five of the top grips you can buy right now. It’s our hope that one of them will be perfect for you. What we love about this bundle is that you get enough grips to last you for a long time. The price is great, but the quality could be better. A single grip should easily last you a season, though. You can choose these in different sizes and colors to meet your needs and preferences. The grips will give you some good traction and resist slippage and chafing, so even though the price is low, the quality is still decent. Not as durable as you might like. With this grip, you get a very comfortable, cushioned feel that absorbs shock better than most. That makes it easy on your hands, wrists and arms for long play sessions. Winn Dritac has designed these grips to be non-slip, even in inclement weather. They can get wet and still not become slippery, which is pretty incredible. These come in a few different colors and are affordably priced. They also slip on easily, so changing out your current grips is a breeze. While these are some of the most comfortable grips you can get, they do wear out quickly, so you’ll want to factor that in when you are considering if they are worth the money or not. Sold at a competitive price. These grips come in both slim and oversized varieties, and they are quite a bit more expensive than competing grips. As you might imagine, the higher price point comes with a greater durability, and these will really last you. It is doubtful that you would have to replace them each season. The grip is lightweight and slip resistant, making them a joy to use for hours at a time. They keep your arms and hands from wearing out and they provide comfortable, extended play sessions. Very tough and made to last. Lots of value for you. Comes in a few different selections. 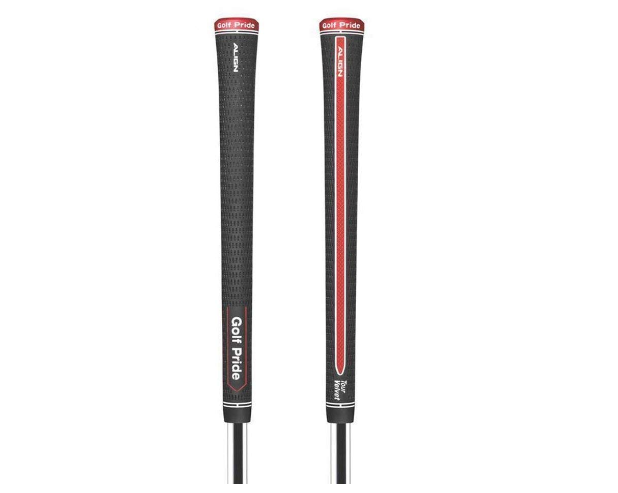 Golf pride’s grips generally perform well. They have built in shock absorption that does a decent job of keeping your hands and wrists protected and safe from fatigue for a long time. 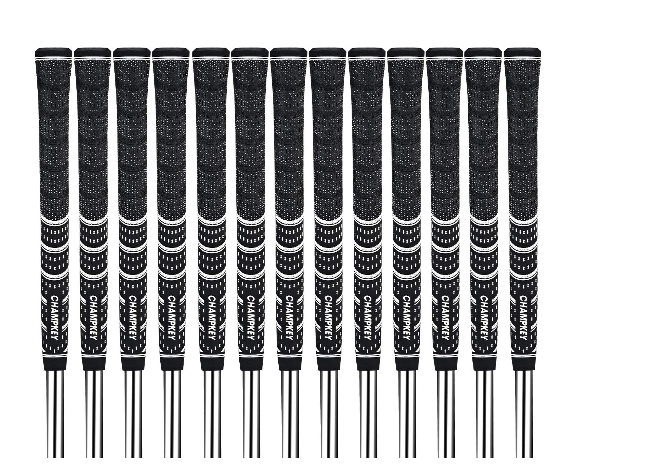 The price is good, but these are far from bottom rung grips. 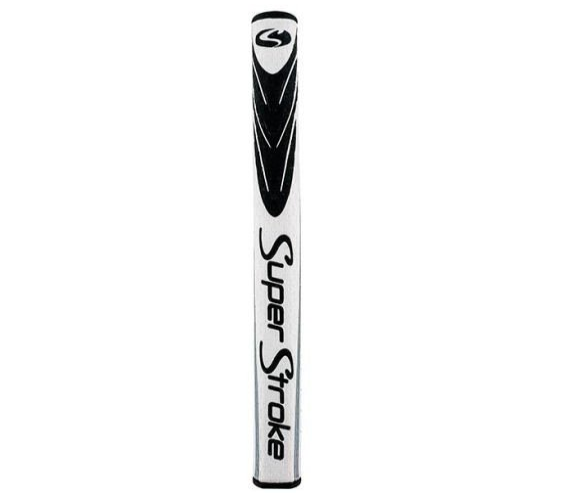 In fact, they are considered mid-tier grips that are decent in almost every respect but not excellent at any one thing. They absorb shock well and offer some fairly good gripping features for a grip that is worth the money. Decent gripping and absorption features. Middle-of-the-road grips don’t really excel at anything. These are more expensive than most of the choices on this list, but we think they are well worth the money. Champkey built these grips to be quite durable, and the 13-pack that these usually come in will keep you in solid, high quality grips for along time to come. That initial investment of around $50 will pay off in time, and you’ll be glad you put down the extra money for these. The soft texture is also great for gripping, providing a superior experience to most of what is on the market, and if you can afford these, we highly recommend them. While the grips will last you for a while, the lettering and solvent may not hold up as long, so you should be aware of that. Mostly top quality design and construction. Some parts will wear out fairly quickly. Size– This is the most important aspect to consider when purchasing a golf club grip, says Bird Golf. There are a few different sizes to pick from, and you’ll need to figure out which one is right for you before you buy. A grip that is too small or too large will be uncomfortable and negatively affect your swings. Corded or Uncorded- Corded materials have cord running through them that are supposed to provide better traction and grip. Some golfers say they need the corded grips to keep a hold on the clubs, while others say it doesn’t make a difference. You may want to test a few of both corded and uncorded grips out for yourself before you make a decision. Plain or Grooved– This is another important choice to make. Grooved grips give a place for each of your fingers to rest, while plain ones let you place your hand anywhere. This decision typically comes down to personal preference, but com points out that some grooved grips may point your fingers in odd or uncomfortable positions that may not be to your liking. It’s a good idea to read reviews and find out how comfortable the grips are for people before you give them a try yourself. Once again, trying the grips out in the store, if that is a possibility, is something you should definitely consider. Specialty Grips- You can also pick from specialty grips, like extra long grips or non-tapered wedge grips. These give you some different options, and if the regular grip choices don’t feel quite right for you, then give these a look. Cheap Grips- Grips don’t cost much, but there isn’t much point in going very cheap with this item. You want something that won’t fall apart on you or wear out quickly, so spend the few extra dollars it takes to get a decent grip for your golf club. You’ll be glad you made that minor investment. Overly Soft Grips– A lot of players will go for the softest grips they can find, but that may be a mistake. The problem with that choice is that golfers will tend to make up for the softness of the grip by pressing harder with their hands. That can mess up their swing and create tension that makes it harder for them to hit accurately. 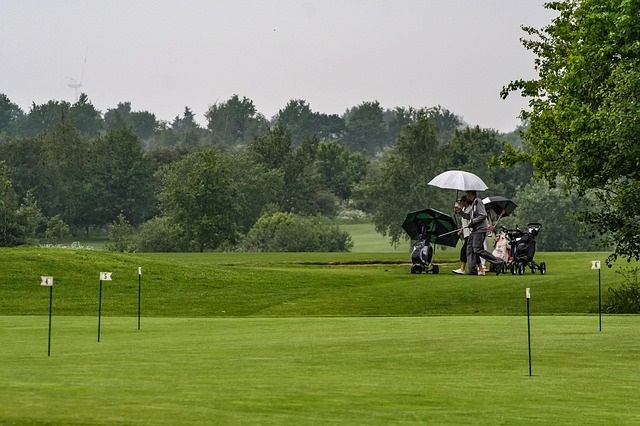 Trying Out without Gloves– If you wear gloves when you golf, then you absolutely want to be wearing them when you are trying out golf club grips. 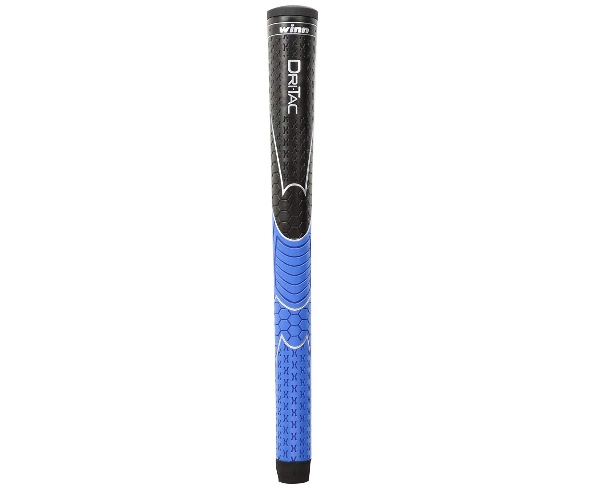 You want to feel how the grip will work for you when you are actually playing, so make sure you are suited up accordingly to get an accurate experience of what it would be like to play with the grips you try. 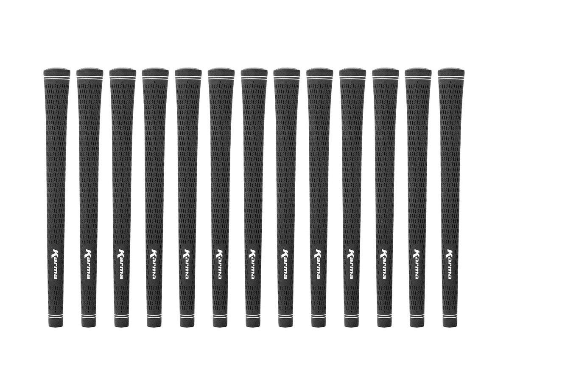 Keeping the Same Grips Each Season– Whenever a new season begins, that’s the perfect time to change your grips. Grips wear out over time, and you want to be playing at your best, so be sure to put new grips on regularly to maintain traction and performance. We hope this buying guide proves useful to you in choosing the best golf club grips. There are lots of options out there, and you should feel confident that you can make the right choice and not end up with something of little value to you. The right golf grip can really improve your game, so take your time to choose the best one.